The Florida man who served as Einstein test taker in college admission pleaded guilty. The Florida brainiac whose natural brilliance wasn't enough to outsmart the feds looked studious and academic walking into federal court in Boston to plead guilty for his part in the now infamous college admission cheating scandal that has embroiled a number of high-powered CEO's, investors and famous Hollywood moms, Felicity Huffman and Lori Loughlin. 36-year-old Mark Riddel, of Palmetto, pled guilty to one count of conspiracy to commit mail fraud and honest services fraud and one count of conspiracy to commit money laundering. The former director of college entrance exams at the prestigious IMG Academy in Bradenton is facing the consequences for helping rich parents cheat their childrens way into some of the most competitive U.S. colleges. "We believe all of them, parents, coaches and facilitators lied, cheated and covered up their crimes at the expense of hard working students and taxpayers everywhere," said Special Agent Joe Bonavolonta of the Boston FBI back in March when details of the scheme became public. 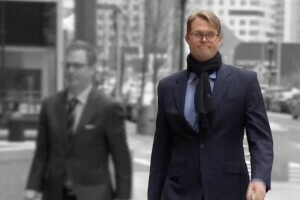 According to court records, between 2011 and February 2019, Riddell, a Harvard graduate, served as the scheme's Einstein test-taker who would secretly take college admission tests for wealthy kids. In other cases, Riddell secretly correcting wrong answers to ensure the sons and daughters of participating parents would get scores high enough to meet college's admission standards. In one case cited in court documents, Riddell traveled from Tampa to Houston to take the A-C-T for a student who became ill. Riddell, prosecutors say, completed the exam in his hotel room and even correctly predicted his final score. 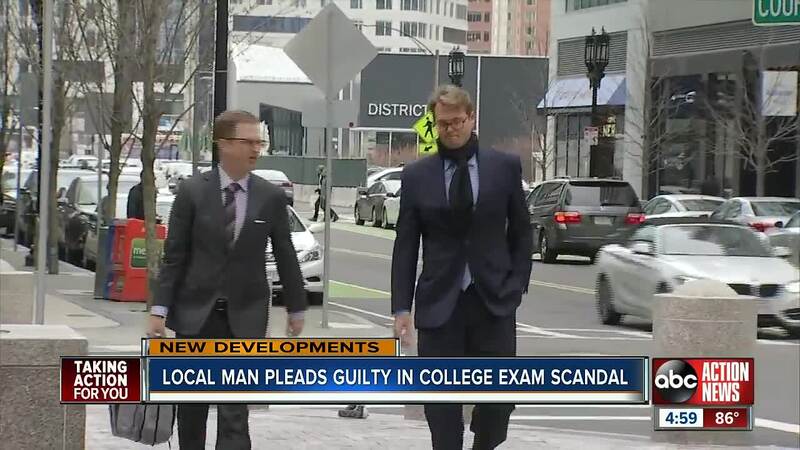 "He did not have inside information about the correct answers, he was just smart enough to get a near perfect score on demand," said Andrew Lelling, U.S. Attorney in the District of Massachusetts. Riddell's mind was a real money-maker. According to the feds, each test he had a hand in earned him $10,000. As part of his plea agreement, U.S. prosecutors are recommending he serve up to 36 months of supervised release and pay a fine of $239,449.42, which is the approximate amount he earned as a result of his offenses. Riddell is scheduled to be sentenced July 18th at 3pm. Mark Riddell has not spoken publicly about his involvement, but through his attorney last month, he released a statement we were first to make public. In that statement, Riddell said he was "profoundly sorry for the damage I have done and the grief I have caused as a result of my needless actions." Riddell's statement went on to read, "I will always regret the choices I made, but I also believe that the more than one thousand students I legitimately counseled, inspired, and helped reach their goals in my career will paint a more complete picture of the person I truly am."